NEW YORK (WABC) -- Two films for very different tastes hit theaters this weekend, but each one is worthwhile in its own way. 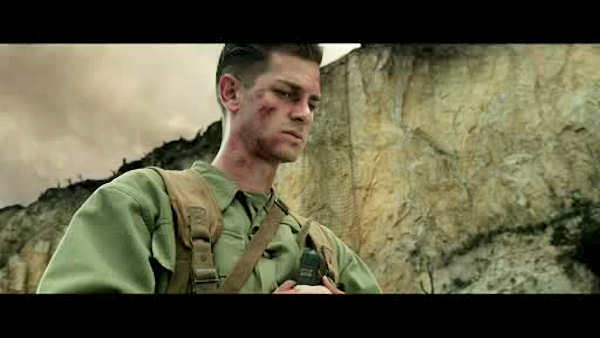 The first is an old-fashioned war movie called "Hacksaw Ridge" that is so well made it will engage any viewer who enjoys that type of action. Private Desmond Doss refused to bear arms against our enemies in World War II, yet he a saved so many lives as a medic that he was the first conscientious objector to be awarded the Medal of Honor. Andrew Garfield is perfectly cast as the man who came under fire, on and off the battlefield, while Vince Vaughn is terrific as the sergeant who came to respect Doss and then revere him. Director Mel Gibson comes back with a venegance a decade after his drunken, racist rant was caught on camera and came very close to ending his career. So dramatic was his meltdown that it was almost enough to make folks forget that he won a couple of Oscars for "Braveheart," another war film that like "Hacksaw Ridge" has a lot of humanity. It's easy to see why a pariah like Gibson would want to embrace Doss, a man who had the courage of his convictions, and the result is a wholeheartedly positive experience. The second film is "Doctor Strange," and anyone who complains Marvel movies are too mindless might want to check it out and test the theory. Benedict Cumberbatch makes a bid for super-stardom in the movie. "It touches on time and death and mortality," Cumberbatch said. "Pretty heavy themes, but then it always manages to turn the corner and do something fun with it as well." The star and his supporting players make "Doctor Strange" the best of its kind since "Guardians of the Galaxy." Enthusiasm for the movie is running higher than for the likes of "Ant-Man," though not as high as for those featuring "The Avengers." It is a direct appeal to those who have avoided Marvel movies, and it offers a compelling mix of brain and brawn. "Doctor Strange" is from Disney/Marvel, owned by the same parent company as WABC-TV.